Mitrovic only completed his permanent switch to Craven Cottage from Newcastle last summer for £22m and has gone on to score 10 goals in 24 Premier League appearances for the west London side this term. However, the threat of relegation looms large for ​Fulham with just 14 games remaining and Ranieri’s side six points adrift of safety, and the Italian said, via the ​Mirror: “I hope he can score another ten goals from here to the end of the season and some good teams bring him. “I hope. 10-15 goals. If he scores 15 goals, maybe we can see! I said when he arrived, he is a very good champion. Only 24 years old! He is ambitious, he trains very well. In England, if strikers don’t fight, they don’t score. “I think Fulham is in the Premier League it’s because everyone worked so hard, but ​Mitrovic scored goals and without them you can’t achieve. Meanwhile, Ranieri has admitted that he has been impressed with January signing Ryan Babel. The Dutchman was brought in to provide attacking support for Mitrovic, along with the Serbian’s former Partizan Belgrade teammate Lazar Markovic from ​Liverpool. 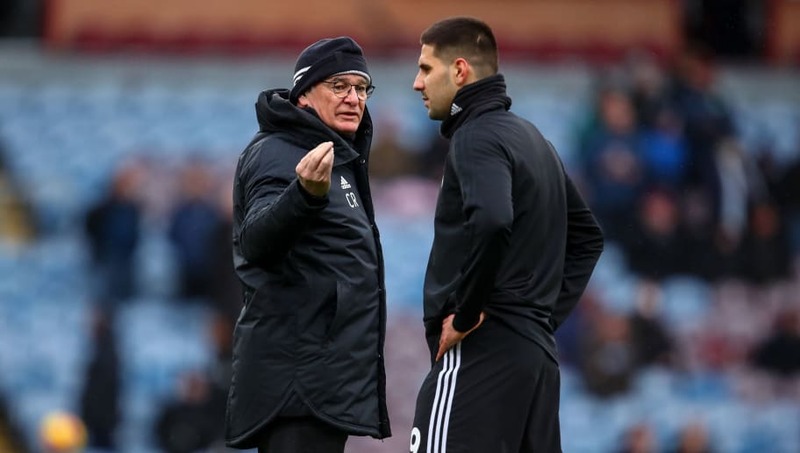 The winger was apparently recruited on Mitrovic’s recommendation to the club, and Ranieri said of fellow ex-Liverpool forward Babel: “He’s a very good guy with his teammates. For me, he’s a leader. “When you see him in the training session, he was speaking to a player who was 18 years old and saying, ‘You have to do this, you have to do this.’ It’s fantastic. That means he is involved in this project. It’s not only for himself.